The Elstead Demeter 1 light green and brown ceramic table lamp with brown shade features a ridged vase base, with reactive glaze, gold lined, brown faux silk 17″ tapered lamp shade and polished brass finial. 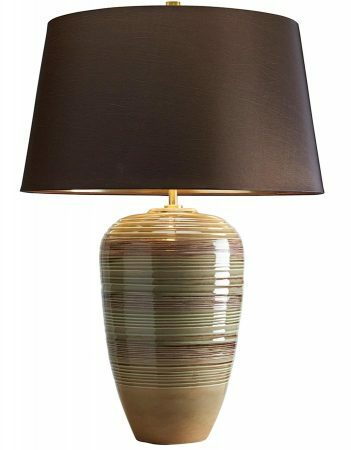 I am interested in buying a Elstead Demeter Green Brown Lamp. Could I buy it with an Ivory Shade? 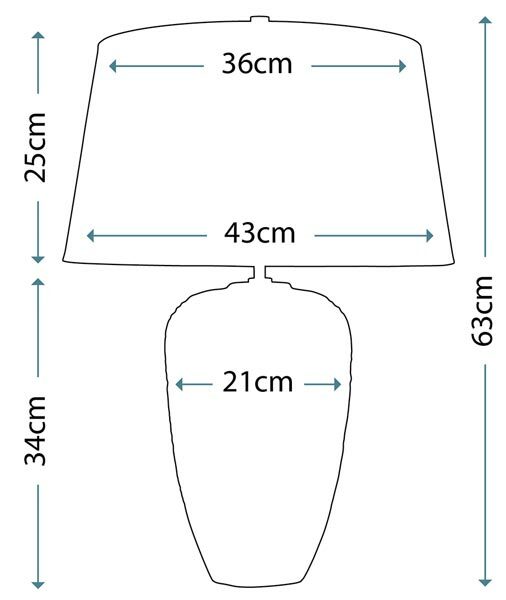 We are able to supply this table lamp with an ivory shade. Please contact our sales team where we can advise price and availability.